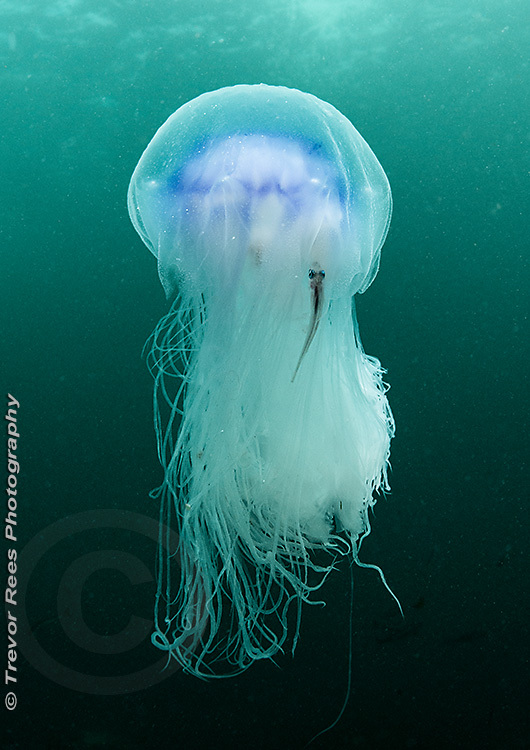 This jellyfish is a close relative of the lion's mane jellyfish, but considerably smaller. Sometimes small fish, such as whiting, may be seen sheltering amongst the tentacles where they can find protection from predators. Nikon D600, Sigma 15mm + 1.4 teleconverter.